It’s fall and we all know what that means… Pumpkin everything, and really, nothing else matters. But seriously, it’s also the start of the holiday season, parties with family and friends, and lots and lots of food. My favorite part though, not needing an excuse to make desserts. 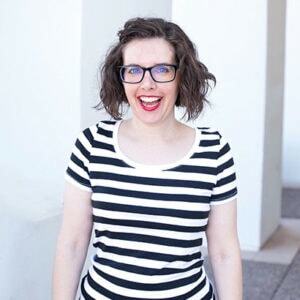 If you’re like me, Brandi, I want to make something amazingly delicious, without a mile long ingredient list, and something that doesn’t take forever. No worries though, you can count on me, I’ve got you! 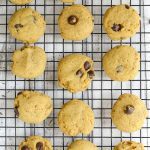 These, Pumpkin Pie Cream Puffs will knock your socks off, and everyone will be asking for the recipe. For the pate a choux, add water, butter, sugar & salt to a medium saucepan and combine over medium high heat until mixture comes to a boil. Next, reduce heat to medium, add all of the flour, and quickly stir to combine flour. Continue to stir the mixture until it begins to pull away from the sides of your saucepan and leaves a film on the bottom of your pan, about 2-3 minutes of mixing. Allow mixture to cool for a few minutes. Add the cooled mixture to a mixing bowl (you can use your stand mixer too), and begin mixing in your eggs one at a time on medium speed. Make sure each egg is well combined into the mixture before adding the next egg. Once all of your eggs have been added you can mix in your cinnamon. 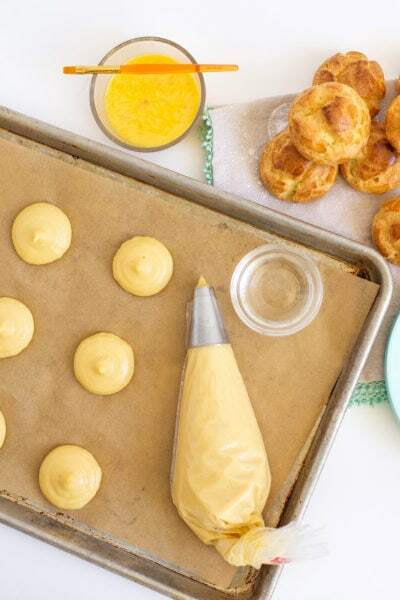 Finally, add dough to your piping bag fitted with the large plain round tip. 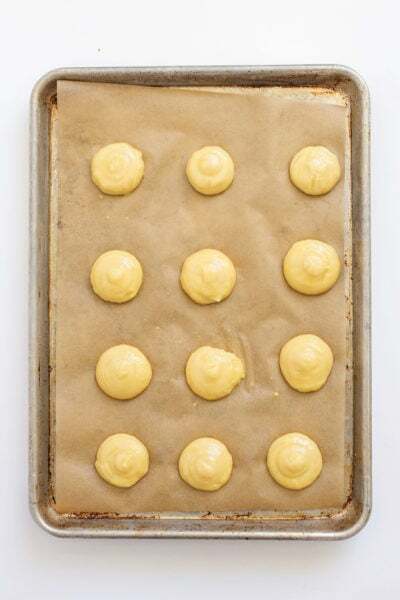 Preheat your oven to 350 degrees and line a baking sheet with parchment paper. Pipe 2 inch circles of dough on lined baking sheet, about 1.5 inches apart. If your puffs have little peaks, dab a clean finger in a little water to soften the peaks. Brush each puff with a egg wash and bake in the oven at 350 for 12 minutes. Raise the oven temp to 425 and bake for another 10-13 minutes. You’re looking for a raised puff, golden brown in color, and hollow in the middle. 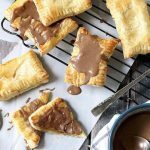 Allow puffs to cool completely before filling. 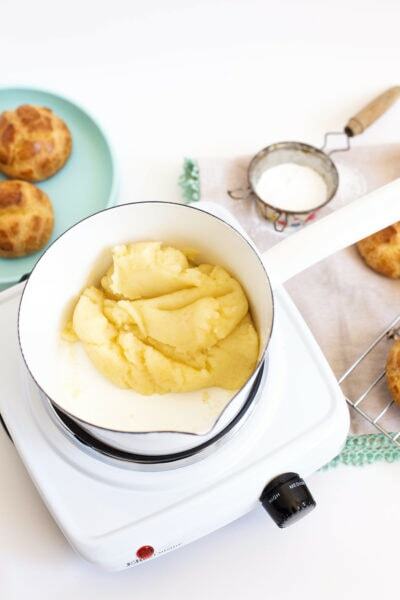 While your puffs are cooling, whip your heavy cream until stiff peaks have formed. In a separate bowl, combine the rest of your filling ingredients until well combined. Next, fold whipped cream into your pumpkin mixture and add to a piping bag fitted with a small plain round tip. Now we’re ready to fill these puffies. 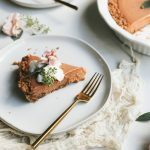 With a sharp paring knife, cut a small x in the bottom of your puff and fill with pumpkin pie mix. 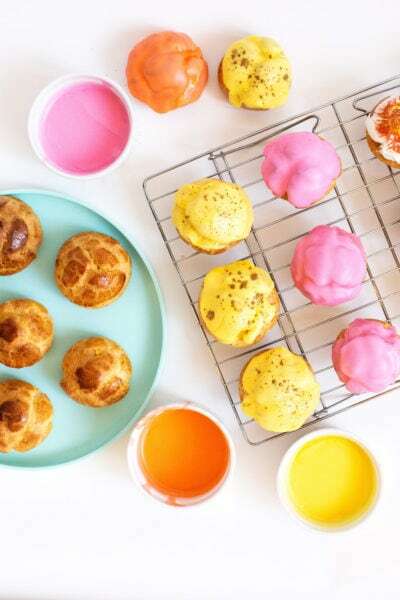 Place filled cream puffs in the fridge while you prepare the glaze. 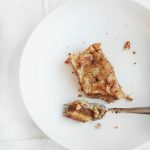 To make the glaze add powdered sugar and mix in 1 tablespoon of water at a time. You’re looking for a smooth, but thick consistency, most like a donut glaze. 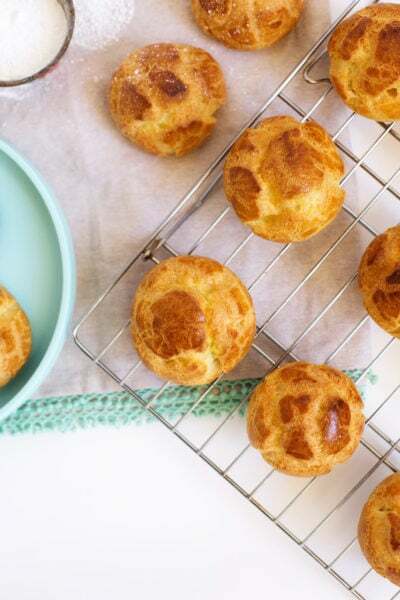 You should be able to easily dip the top of your cream puffs without it running off the top. 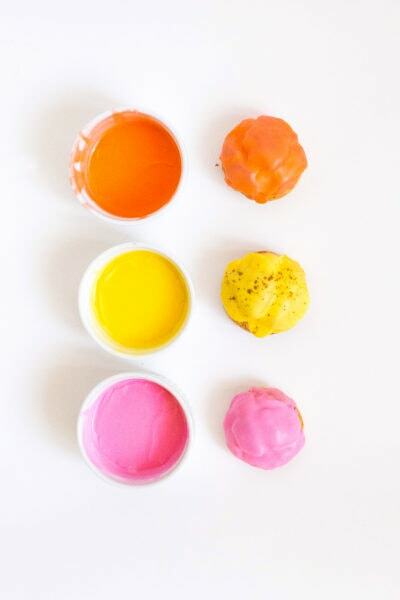 Before you dip, separate glaze, and color with desired colors. I prefer the gel colors, they’re super pigmented and won’t thin out your glaze. 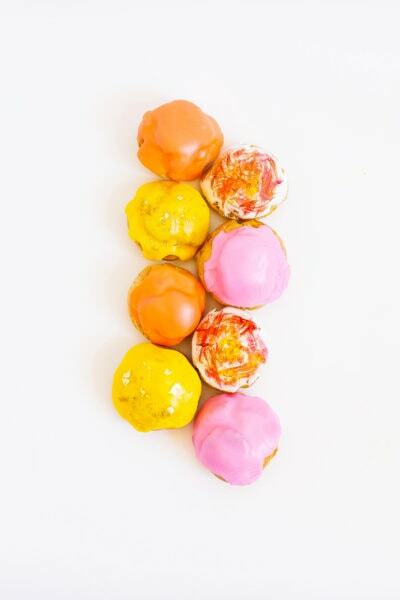 Dip each puff and allow to dry completely before adding any food color splatters, sprinkles or luster dusts. Decorate and you're ready to enjoy! 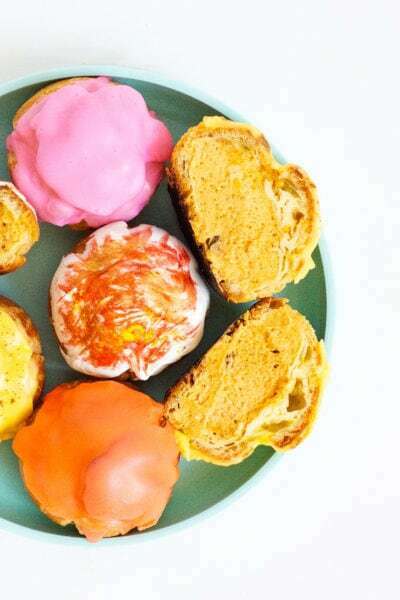 I promise, making the pate a choux dough sounds fancy and hard, but it is my new favorite! It’s unbelievable all the things you can make with this one dough. Can you say, eclairs, French crullers and CHURROS, just to name a few, but I digress. The recipe calls for whipping cream, you can do this by hand, but only if you need an epic arm work out (ha!). I recommend using a hand or stand mixer on medium speed. 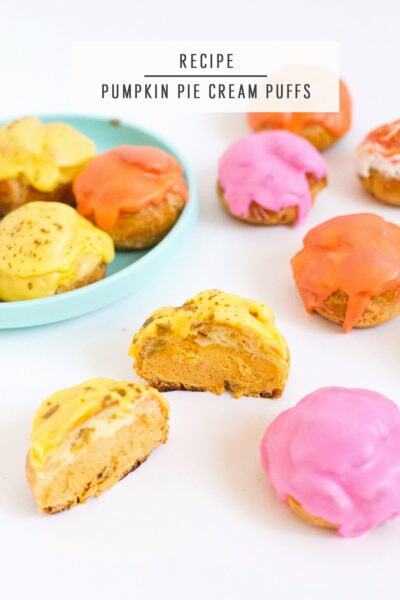 Combining my love for pumpkin pie, cream cheese and a flaky pastry dough, these pumpkin pie cream puffs are absolutely my new favorite dessert and they’ll be yours too once they cool and you have a bite! 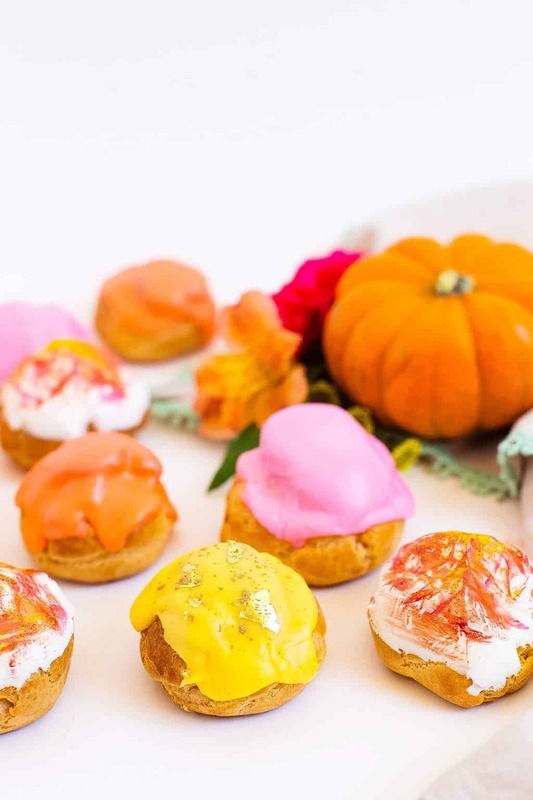 For decoration, I used gel food colors to paint and got a little creative with some of my cream puffs and sprinkled a some gold luster dust for a shimmery effect. If you feel you want to double dip your puffs feel free, but do so before taking a bite! I told you the Pate a Choux was easier than it sounds! 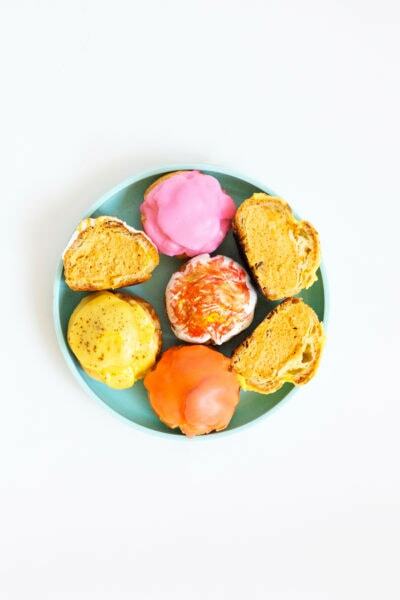 Also, I love that this dessert let’s you get creative, add some colorful icing, a touch of sprinkles, and you have yourself little masterpieces. 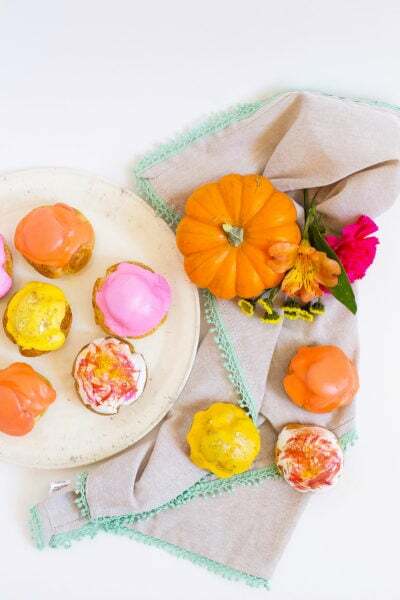 Now you’re ready to serve your guests some yummy treats with this pumpkin pie cream puffs recipe!